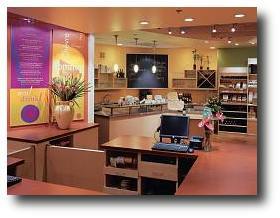 ecomshare's point of sale was designed from the ground up to be reliable and flexible. Our system keeps inventory current in realtime between your website and storefront! With enterprise grade software and hardware, you can sleep at night knowing your system is safe and secure. Offsite backups - Choose monthly, daily or immediate backups for your data. No more disks, tapes or trying to remember when you last backed up your system. We save all transactions to a secure offsite server. ecomshare's pos system is in use at eat drink in the Vail Valley. Our flexible architecture allowed for owners Chris and Polly to have a say in the design and functionality of the system.